This is a volume 1 issue of a title we have never had before from Washington, 6 years before it would become a state. 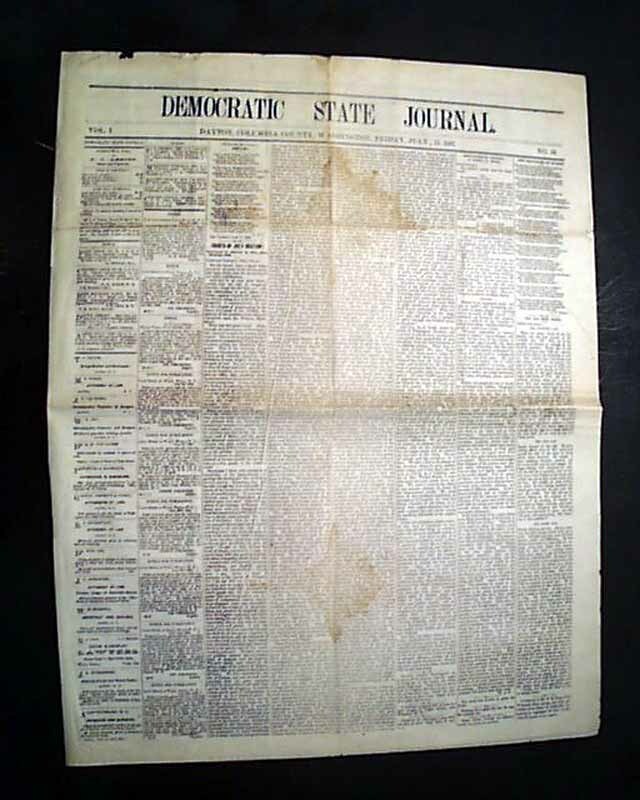 "Union List of American Newspapers" notes that it lasted for just 2 years, with just 5 issues held by one institution and scattered issues by another. 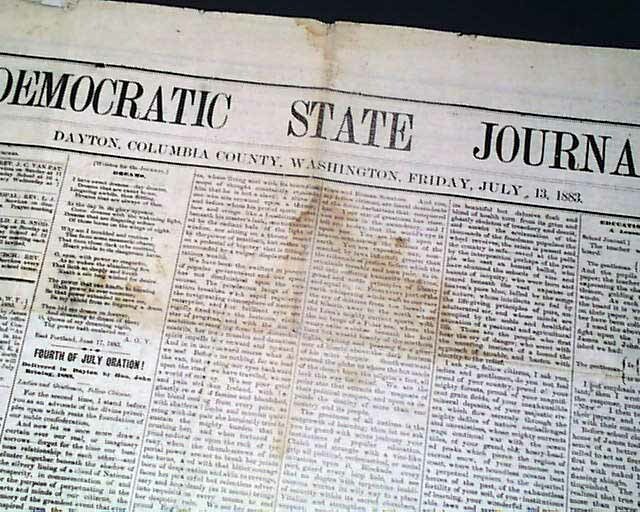 A typical newspaper of the day, large size, four pages, never bound nor trimmed, some very discrete archival mends at margins, some damp staining. The folder size noted is for the issue folded in half.